(REVISED AND UPDATED) The House Divided Project at Dickinson College celebrated its tenth anniversary in March 2016 by hosting a special conference on the Reconstruction Era, with a series of campus events headlined by Pulitzer-Prize winner Eric Foner, and featuring noted historians Gregory Downs, Matthew Pinsker, Jeffrey Rosen, and Anne Sarah Rubin. All events were streamed over YouTube and are available now via embedded viewers on this page. Participants in the K-12 teacher workshop on Saturday received free signed copies of Eric Foner’s book, A Short History of Reconstruction (2015 ed.) as well as other educational materials on Reconstruction provided by the House Divided Project and its co-sponsors. After the workshop, all participants may continue to request certification for up to 4 hours of professional development credit in the form of a letter from Dickinson College. Pennsylvania teachers should note, however, that Dickinson is not an Act 48 provider, and thus they will have to take this letter to their home institution for review and formal certification. The House Divided Project at Dickinson College began during academic year 2005-06 as an effort to create free digital and multi-media resources for K-12 and undergraduate classrooms studying the broader Civil War era (1840-1880). The Project has produced over two dozen websites and web-based exhibits, digitized over 15,000 public domain images, and has partnered with several leading cultural and educational institutions, such as the Gilder Lehrman Institute of American History in New York and the National Constitution Center in Philadelphia, both of which are co-sponsoring the conference on Reconstruction. Principal funding for the March 2016 conference comes from The Andrew W. Mellon Foundation via a generous grant provided by the Dickinson College Digital Humanities Advisory Committee (DHAC). During the conference, the House Divided also opened its new studio at 61 N. West Street in Carlisle, PA 17013 (tel: 717.245.1865). Free tours and class sessions are now available by appointment. The video above highlights contributions from House Divided interns Christina Braxton (Class of 2018) and Jia “Majer” Ma (Class of 2016). Eric Foner, DeWitt Clinton Professor of History at Columbia University, is one of this country’s most prominent historians. He received his doctoral degree at Columbia under the supervision of Richard Hofstadter. He is one of only two persons to serve as president of the three major professional organizations: the Organization of American Historians, American Historical Association, and Society of American Historians, and one of a handful to have won the Bancroft and Pulitzer Prizes in the same year. 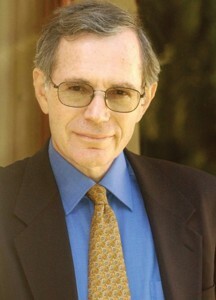 Foner is the author of numerous books, including Reconstruction: America’s Unfinished Revolution, 1863-1877 (1988). He has also served as co-curator with Olivia Mahoney, of the online exhibition, America’s Reconstruction: People and Politics After the Civil War (1995) which will be featured during the March 26 teacher workshop at Dickinson. Jeffrey Rosen is the President and Chief Executive Officer of the National Constitution Center, the first and only nonprofit, nonpartisan institution devoted to the most powerful vision of freedom ever expressed: the U.S. Constitution. 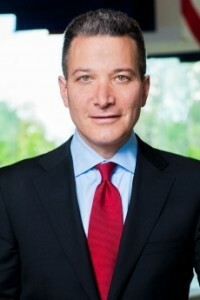 He is a professor at The George Washington University Law School, where he has taught since 1997. He is a nonresident senior fellow at the Brookings Institution, where he explores issues involving the future of technology and the Constitution. Rose is the author of several books including The Supreme Court: The Personalities and Rivalries that Defined America (2007). He has also just helped launch the Second Founding initiative to explore the reconstruction of America’s constitution in the years after the Civil War. Rosen will discuss this initiative at his Friday, March 25 conversation at Dickinson. Matthew Pinsker is the Pohanka Chair for Civil War History at Dickinson College and the Director of the House Divided Project. Matt is also a fellow at the New America Foundation in Washington DC. He has previously held visiting fellowships at Strategic Studies Institute of the U.S. Army War College and the National Constitution Center in Philadelphia. Matt graduated from Harvard College and received a D.Phil. degree in Modern History from the University of Oxford. He is the author of two books: Abraham Lincoln –a volume in the American Presidents Reference Series from Congressional Quarterly Press (2002) and Lincoln’s Sanctuary: Abraham Lincoln and the Soldiers’ Home (Oxford University Press, 2003). Matt’s next book is forthcoming from W.W. Norton & Co., tentatively entitled, Boss Lincoln: Understanding Abraham Lincoln’s Partisan Leadership. On Saturday, Matt will be unveiling plans for the new Reconstruction Digital Classroom which will go online shortly after the anniversary conference. 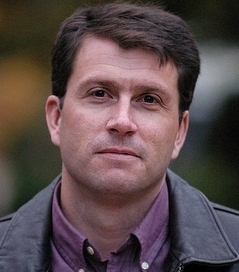 Gregory Downs studies the political and cultural history of the United States in the 19th and early 20th centuries at the University of California / Davis. He is the author or editor of several books. 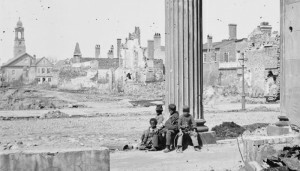 Downs’s latest monograph, After Appomattox: Military Occupation and the Ends of War (2015) examines the immediate period after Confederate surrender as an extension of wartime and through the lens of occupation, as the U.S. Army sought to remake life on the ground through alliances with organized freedpeople and against the ongoing resistance of ex-Confederates. 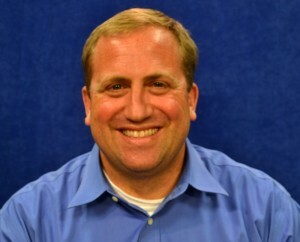 With the support of the University of Georgia and the American Council of Learned Societies, Downs and Scott Nesbit produced an interactive digital history of occupation during Reconstruction, Mapping Occupation that will be featured on the Saturday, March 26 teacher workshop at Stern. Anne Sarah Rubin is a Professor of History at the University of Maryland, Baltimore County, where she teaches courses on the Civil War, American South, and the Nineteenth Century United States. 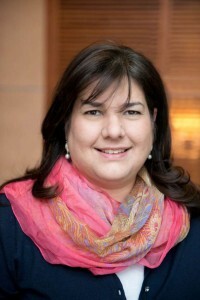 She is also the Director of the Center for Digital History and Education. She is the author of several historical monographs. Her latest book, a study of the many legacies of Sherman’s March is Through the Heart of Dixie: Sherman’s March and American Memory (2014). Her online exploration of Sherman’s March can be found at www.shermansmarch.org and will be featured at the Saturday, March 26 teacher workshop. Rubin is currently a member of the Executive committee of the Southern Association for Women Historians, and an OAH Distinguished Lecturer. She was president of the Society of Civil War Historians from 2012-2014.